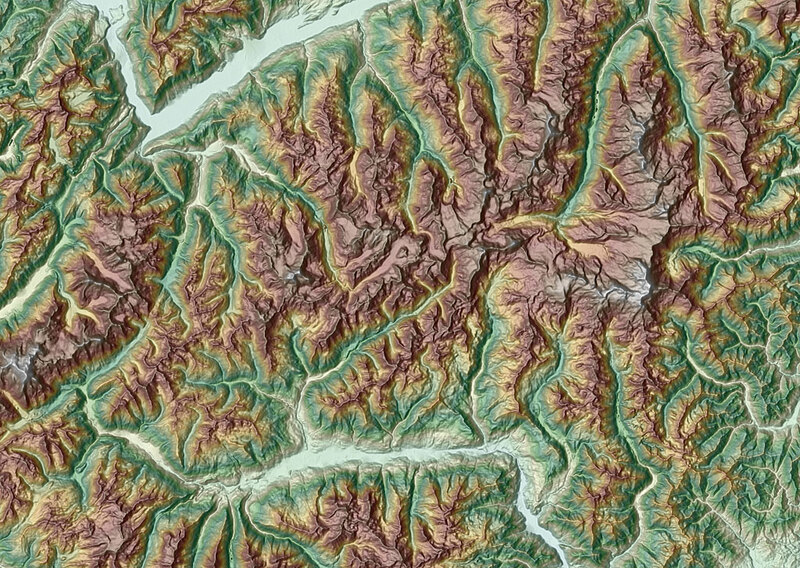 The inclusion of Airbus Defense and Space WorldDEM4Ortho elevation data in the ArcGIS Online Living Atlas of the World makes the most accurate, detailed satellite-based elevation datasets available to users and developers. Now the most accurate, detailed satellite-based elevation datasets for orthorectification are available to ArcGIS users and developers with the imminent inclusion of Airbus Defence and Space WorldDEM4Ortho elevation data in the ArcGIS Online Living Atlas of the World. This is the most consistent and accurate elevation model that covers the entire land surface of the Earth. This data will be available for online end-user applications and developers creating apps with a specific need for elevation information. For example, navigation systems can use 3D road data to give drivers better estimates of fuel costs based on the terrain traveled or elevation data can be used in orthorectification workflows to ensure imagery is properly calibrated to geographic standards on a global scale. The applications for these new elevation layers include analytics such as slope, aspect, rugosity, and visibility studies. The data will also be used extensively to improve basemap cartography with beautiful multidirectional hillshading and better 3D views. The addition of this elevation data to the Living Atlas will enhance users’ understanding of regional, national, continental, and global earth science. One important aspect of this new dataset is that it standardizes the scale of imagery, removing distortions from satellite photographs such as perspective and tilt. This improves accuracy in any kind of geographic measurement. New Airbus data will be added to the more than 5,000 maps available to over four million users of the Esri platform worldwide and will be included in Esri’s existing multiple elevation layers. To learn more about Esri’s elevation data and other content available online, visit go.esri.com/living-atlas. DigitalGlobe has selected the ArcGIS 10.5 Enterprise architecture to deliver Imagery+Analytics, a new subscription product that enables organizations to subscribe to high-resolution imagery and analytics directly within the Esri environment. The Imagery+Analytics subscription leverages ArcGIS Image Server to let customers search, access, and analyze vast amounts of DigitalGlobe high-resolution imagery. Once an area of interest is identified using the Imagery+Analytics application, ArcGIS Image Server displays the browse-level imagery and metadata so customers can add the imagery to their subscription. The multispectral and temporal imagery then becomes accessible as dynamic image services running in the cloud so that it is available for both viewing and analysis in the ArcGIS applications. Users also have access to a wide range of cloud-based analyses using ArcGIS raster analytics as well as DigitalGlobe’s GBDX Platform, which includes analysis capabilities powered by Harris Geospatial’s Envi suite and deep learning-powered capabilities such as those offered by CrowdAI and other ecosystem partners. 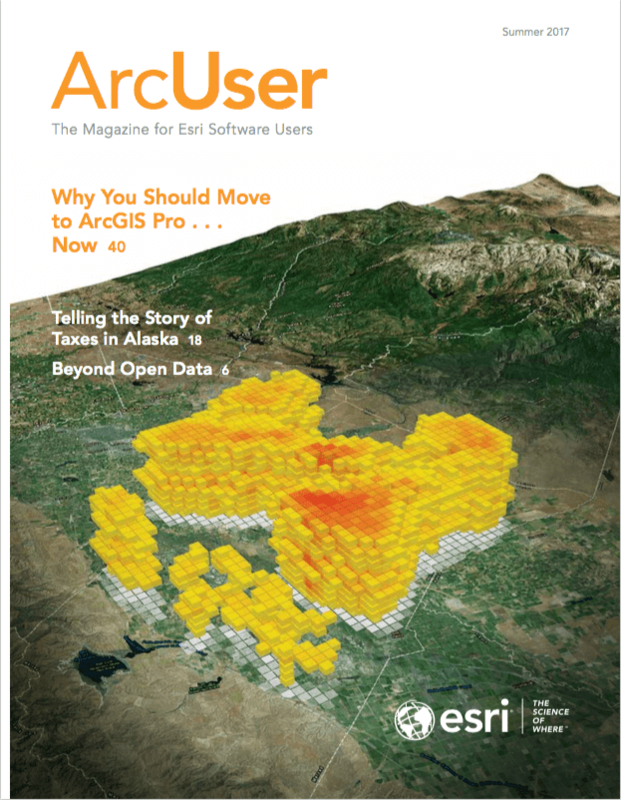 To learn more, visit go.esri.com/arcgis-enterprise. Esri will soon offer ArcGIS Monitor, a tool for auditing the health of your enterprise GIS and IT infrastructure, including databases and network and GIS software that complement your existing monitoring ecosystem. Through the use of real-time dashboards, ArcGIS Monitor will provide timely alerts and notifications detecting potential and existing system infrastructure and operational problems that can aid in the rapid resolution of any issues. It will also generate reports that provide information about system usage and performance. These reports can improve communications among GIS and IT staff, senior management, and business owners. ArcGIS Monitor can maximize your GIS investment through more effective system operation and reduced administration costs. Learn more about ArcGIS Monitor at go.esri.com/monitor. There is no longer a minimum number of Named Users required for an ArcGIS Online subscription. The only constraint is that there must be at least one Level 2 Named User to act as the administrator for the ArcGIS Online subscription. Beyond that, you can have as many (or as few) Named Users at Level 1 or Level 2 as you need to meet the business needs of your organization, no matter how large or small the organization may be. This is especially useful for very small organizations. If you just need one Named User to make maps for a website, you can simply buy a Level 2 Named User. More than 30 compliance certificates were awarded to the ArcGIS 10.5 platform by the Open Geospatial Consortium, Inc. (OGC), covering a wide variety of OGC implementation standards. The OGC standards Esri has implemented make sharing location-based data insight easier within an enterprise as well as with other organizations that use software and services that are certified OGC compliant. These standards allow customers, especially within the geospatial intelligence (GEOINT) community, to work more collaboratively. Esri, a longtime and active member of the OGC, is committed to open standards compliance and pursues an open platform approach to meet the implementation goals of its customers. Recognizing the important role that standards play in fostering interoperability, Esri is a principal member of OGC and has participated in innumerable OGC-sponsored interoperability initiatives explicitly geared toward increasing interoperability among vendors’ products. ArcGIS 10.5 is next generation analytics technology for innovative organizations and arrives at a time when government and business are challenged to make sense of enterprise data, big data, and the Internet of Things. To learn more about Esri’s commitment to open technology, visit go.esri.com/OpenSoftware2017.